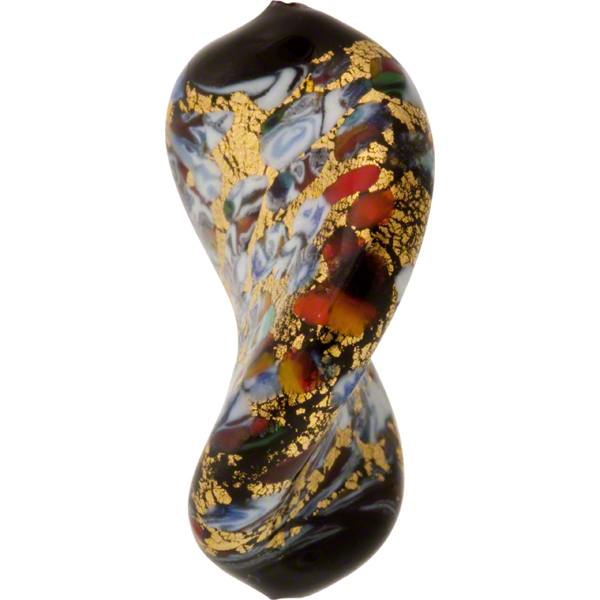 Wonderful twist in Black base in our Klimt inspired line with small pieces of millefiori and with exterior gold foil. 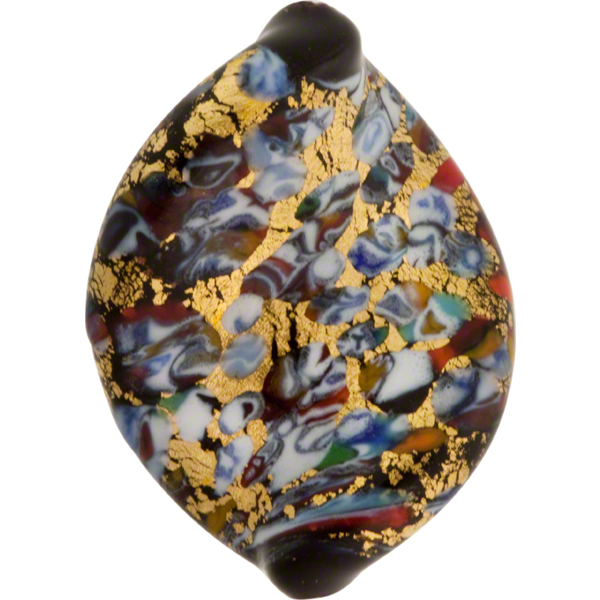 The size is approximately 30mm in length and 20mm in width with a 1mm hole which runs in the center the length of the bead. They are a nice size for your Venetian necklaces and yet still can be used for matching earrings. The gold foil is exterior and as such is subject to wear and tear and can be affected by body oils, chemicals, soaps. This is not a defect to the bead. 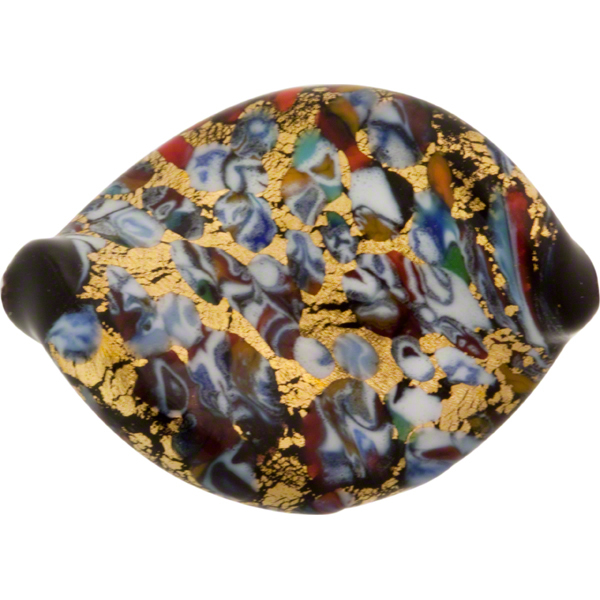 The exact shape, color, placement of the small pieces of color glass and the gold foil are completely random and no two are ever exactly alike.